Mentioning father’s name may not be compulsory in future for obtaining Permanent Account Number (PAN), a key identification number needed for filing taxes and certain financial transactions, if the applicant’s mother is a single parent. The government has proposed to amend rules and forms under Income Tax Act to ensure that children of single mothers do not face any hassle in securing the 10-digit alphanumeric identity allotted to each taxpayer by the Income Tax Department. Mentioning mother’s name will be compulsory in such cases, according to a draft notification released for consultation by the tax department. PAN, which serves as an identity proof, is compulsory for financial transactions such as receiving salary or professional fees, selling or buying assets above specified limits or buying mutual funds. At present, furnishing father’s name is mandatory for PAN allotment. In April, the tax department had changed rules to recognise transgenders as an independent category of applicants for securing PAN. It allowed a new tick box in the PAN application form for transgenders. Till then, only male and female gender categories were available on the form. 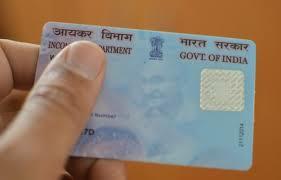 The government has also proposed to amend the rules on the time-line regarding applying for PAN and its issuance. The department has given time till 17 September to public for making suggestions.